I admit it — I’m addicted to Bejeweled. It’s a mindless escape for me after a long day. The other evening I had an exceptionally good score (well, for me, anyway). And I felt really good. There would be blazing electricity and noises as if I were watching fireworks. And that’s when it hit me — I need to do the same at work. Small wins deserve an “Excellent!” from me. And those really phenomenal successes should be met with a “Spectacular!” and perhaps some hand clapping or the banging of a gong. I’m serious. Too often, we’re so busy focused on the next activity or goal that we forget to recognize the sucesses that we achieve. Thanks to Bejeweled, I’m planning to add some more bling to my management style. Did you know that in 30 minutes you can address all of your social media commitments? That was the message during one of the workshops at the 2009 NFPW Conference in San Antonio, Texas. The idea is that in those 30 minutes, you can write and post a blog, tweet, and update your LinkedIn profile. It works. I’ve been doing it since the NFPW conference. Tonight was one of those nights that I fell behind so I was worried about getting a post up by my self-imposed deadline. In my 30 minutes, though, I did everything I needed to do. Another session from the same workshop by Nettie Hartsock and Jennifer Hill Robenalt was to review your blog and blog roll every month. A blog roll should contain no more than 10-15 blogs, they said. So after three months check that the roll hasn’t grown out of control. As for how often to post, yep, their recommendation was three times per week. I decided since I had a full-time job that almost always exceeds an eight-hour day that I would commit to twice a week, not three times. When I start posting three times a week, you’ll know I have the job well managed. Suggestions for developing blog content included asking seven questions (or just three) of someone and posting the answers as an interview. Lists are always good especially when you include three tips or five hints. So in just 30 minutes I’ve completed my blog, updated my LinkedIn profile and answered some emails. I still don’t tweet. 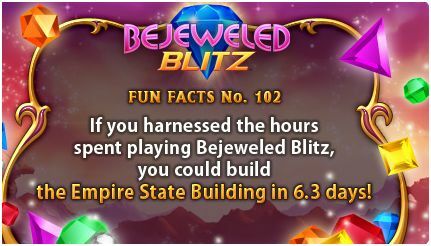 And I’ll probably go over 30 minutes because I’ll go to Facebook, but I promise I’ll only play Bejeweled for 30 minutes!